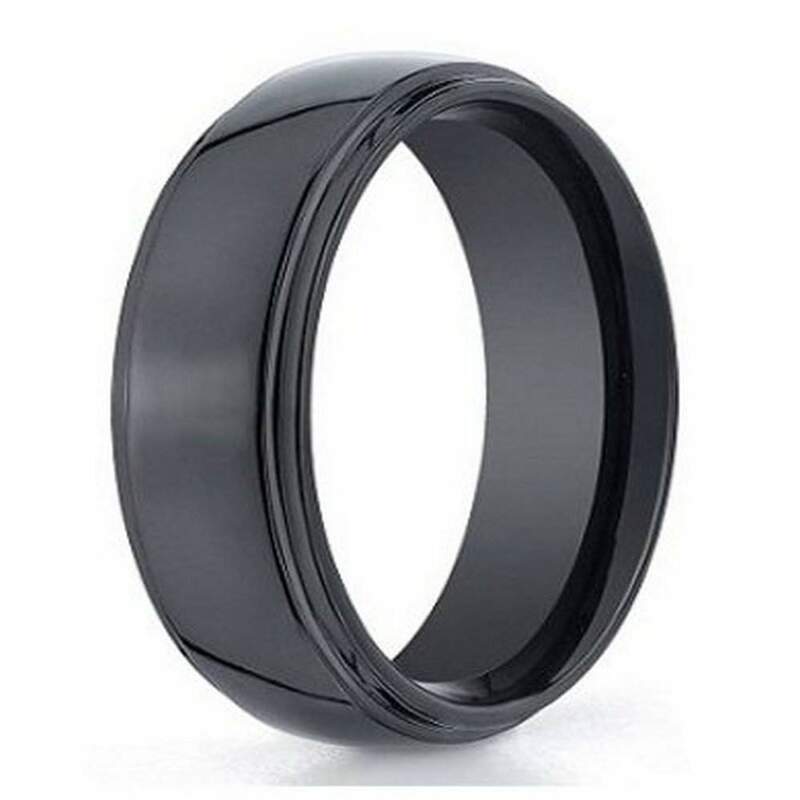 A traditional domed profile gives this glossy ceramic based ring a refined look, but there is nothing traditional about this double edged 7mm men's seranite wedding ring. Seranite is naturally black throughout, and when polished it has an irresistable shine.Comfort fit rings usually measure 1/2 size smaller due to the additional metal inside the ring. We recommend having your finger measured for a comfort fit ring at your local jewelry store.